ครูเซ็ท ครีมปรับสภาพบำรุงผม ผสมสารสกัดโสมและน้ำนมขาว 200 มล. 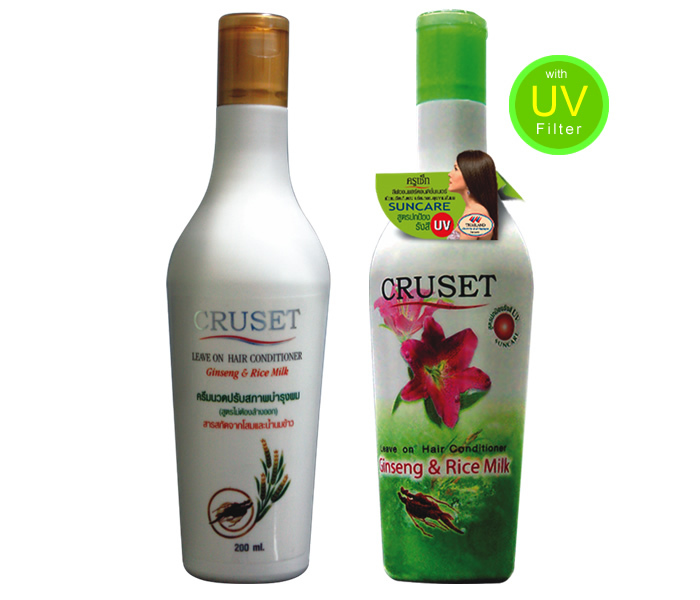 Cruset Leave On Hair Conditioner with Ginseng & Rice Milk 200 ml. No-rinsing off conditioner, fortify dry, damaged and brittle hair. Reveal healthier hair. Nutrient rich with Ginseng & Rice Milk extract. Revitalize hair roots and regenerate hair scalp. 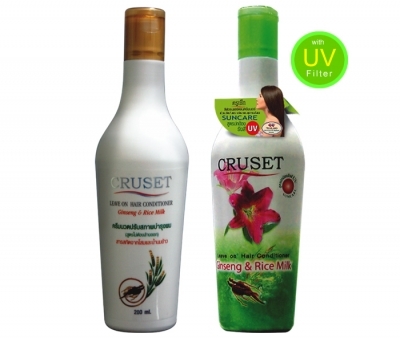 Formulated with Panthenol to fluid hair, restore shine, silkiness and softness. It helps to discipline and vitalize hair. Available in 2 formulas : Suncare and Regular.